Where is this coming from? Their GM today flat out said they were out because of the price and the signing of Bozak. All quiet in Twitter land. I'm not buying it BUT having Tyler Bozak penciled in as your number two center isn't ideal. I'd expect they hope Thomas to get a good role quickly, though. Wouldn’t surprise me if we start seeing some new players. SJ and Islanders to name a few. But I’ve seen Vogl Tweeting quotes from Botterill that make it unequivocally clear that they’re shopping him. How can they bring him back after all this? Jason Botterill confirms the signing bonus for Ryan O'Reilly isn't due until the end of the day and talks continue. 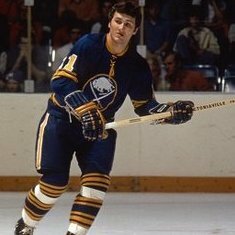 Islanders in on O'Reilly trade talks with Buffalo, we are told. Center is owed $7.5M bonus by midnight. Return package obviously would change from today to tomorrow. 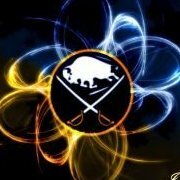 It's hard for me to describe the anger I'll feel towards Pegula if we accept a lesser return to avoid paying the bonus. I don't think that's what's going on. I think it's just a negotiating tactic. It makes sense. For sure. I'm just sayin! Yep, pretty sure Botterill is bluffing to create a false deadline. Pretty stock tactic and one I doubt many GMs will fall for. I said it yesterday, they need to think really hard about going for it right now. Tarasenko turns 27 in December, Pietrangelo turns 29 during the year, Schwartz is 26, Berglund is 30, Bouwmeester is 35 at the start of the year, Steen is 34, Schenn will be 27 at the start of the year, Bozak is 32, Perron is 30. Do they have enough right now to challenge in their division with Nashville, Winnipeg, Minnesota, upstart Colorado Dallas and Chicago? They didn't score enough goals last year and they replaced Stastny with Bozak. O'Reilly fits right into the age group of their club. Do they have time to wait for Thomas, or Kyrou, or Kostin, or Dunn to develop? Can they afford to count on Robby Fabbri's knee? What do you do with Fabbri's RFA deal? I wouldn't be a-tall surprised to see them make this move. They just aren't good enough to compete in their division let alone their conference as presently constructed. FTR - this is the same argument I use for Philadelphia. Crosby and Malkin are getting older, Pittsburgh has cracks in the foundation but you need 2 good centers to play against them. Couturier and O'Reilly would stack up nicely. Your buddy may just be riding late on the earlier rumours. Or, Perron and Bozak were brought in to fill for Thomas and Sobotka and Armstrong decided he’s going for it now. Am I the only one who finds it downright bizarre that St. Louis didn't want to pay Stastny (given what he signed for), but was totally okay paying Bozak? Bozak and Perron to blues, no room for O'Reilly there any more I think. Still room, they just need to move salary in the deal, for example, Parayko and Sobotka off-set ROR. If you put Fabbri in there it's one less RFA STL has to sign as well. Re: Fabbri, the guy just came off 2 knee injuries and missed the season. I doubt he is untouchable. Stastny got what, Same term $1.5 more per? If so, I’m with you. Blues seem to be the Regier Sabres. But you can't make a guy sign. If he wanted out of STL he was going to leave regardless. That could have been the case, but I never read anything about him wanting out. Or did they move Stastny out figuring they would be players for Tavares? Classy players don't say anything. They just do it. They don't talk in the media about losing their passion for the game. And FWIW, Vegas paid him considerably more money to go play on a better team. If they thought that the they really are dopes and JBOT needs to rake them over the coals.